Viktor & Rolf create fragrances as they do haute couture collections, with impeccable attention to detail. Each perfume is about far more than just smelling great; every fragrance has a purpose and a vision, which is always beautifully executed by the Dutch Designers. The thing I love the most about Flowerbomb, despite its delicious aroma, is the message behind its creation. The ultra-feminine aroma was not only created to scent the wrists of confident women; its existence is far more intricate than that. 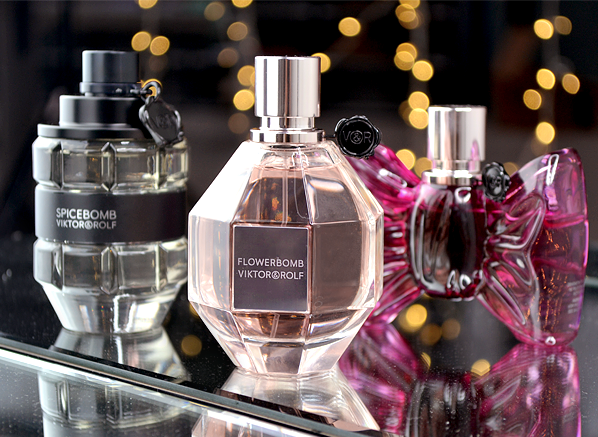 Viktor Horsting and Rolf Snoeren created Flowerbomb as a way to bombard the world with beauty and fantasy. Crafted from hundreds of sambac jasmine petals, thousands of freesia petals and millions of rose petals, Flowerbomb is a beacon of positivity. Curious about its scent? The hint is in its name! Flowerbomb is truly an explosion of flowers, with centifolia rose, osmanthus, catleya orchid and sambac jasmine dancing around in its composition. 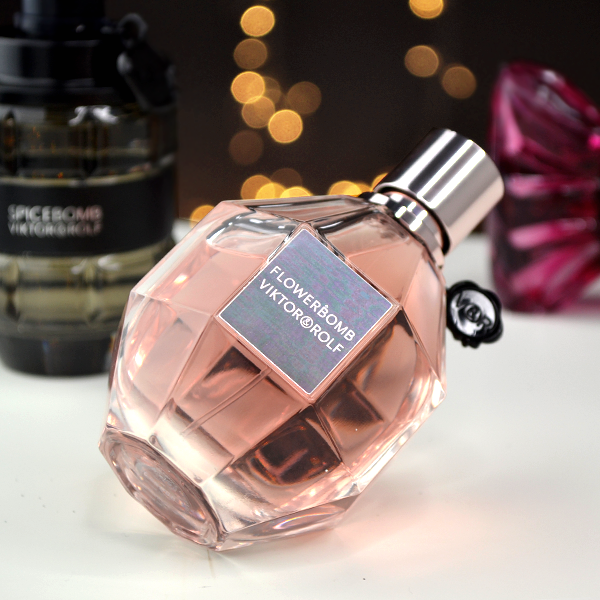 The perfect gift for someone that exudes happiness, Flowerbomb is the ultimate enchantress. In a time when there’s millions of fragrances, it’s the scents that overturn convention that catch our eye. Queue Spicebomb. The male equivalent to Flowerbomb, Spicebomb is a woody and spicy composition that triggers seduction. With Spicebomb, it’s all in the detail. 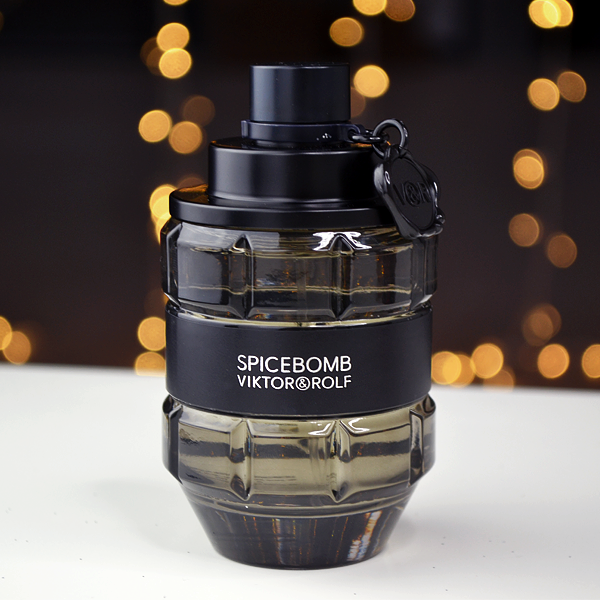 Housed in a bottle shaped like a hand grenade, which even has a pin adorned with the Viktor & Rolf seal, Spicebomb is not for the faint-hearted. Destined for a man unafraid of standing out, Spicebomb is beautifully brash, the type of scent that makes you lean in closer, for a second sniff. Blended with notes of bergamot, lavender, saffron and a white leather accord, Spicebomb is masculine and sophisticated, with a modern edge. Unique because of its bold exterior and even bolder aroma, Spicebomb is a statement of self-assurance. BONBON‘s creation mimics the initial creation of perfume itself; to fuel desire. With caramel characteristics teasing throughout, BONBON is the fragrance that will make you feel like the ultimate seductress. What makes BONBON a must try, is this exact reason, the way it makes you feel with every spritz. The bottle of this gourmand perfume is another reason it’s so intriguing. 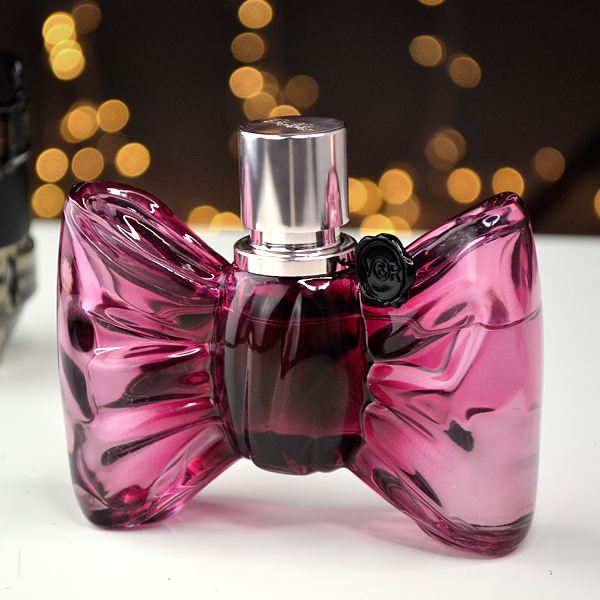 Shaped like a bow, BONBON’s bottle is unlike anything else in the world of perfumery, created in the face of extreme technical difficulty. Rendered using a groundbreaking patent process, the glass bottle is shaded in pin tones with a precise degradé technique, making it an Eau to show off! And it’s aroma? Completely irresistible! A dream come true for someone with a sweet-tooth, BONBON’s juice is almost edible. Flowerbomb seems almost green when compared with BONBON, making BONBON the sweetest of treats. Which of Viktor & Rolf’s unique compositions is intriguing you most? Tweet me @EscentualCeryn or comment below! This entry was posted on Thursday, December 1st, 2016 at 11:49 am and is filed under Christmas, Fragrance, Spotlight On. You can follow any responses to this entry through the RSS 2.0 feed. You can skip to the end and leave a response. Pinging is currently not allowed.